<firstimage=”//static.makeuseof.com/wp-content/uploads/2010/10/win7.jpg”> Most people have dropped their hard-earned cash on a brand new computer at some point. Unless you’re a Linux convert Ubuntu 10.04 - An Extremely Simple Operating System [Linux] Ubuntu 10.04 - An Extremely Simple Operating System [Linux] Read More or Apple-enthusiast, chances are your shiny new PC came with the latest copy of Windows. But is that all it came with? Manufacturers have always seen fresh OEM Windows installs as blank canvases for passing on some of the worst software they can find. 30-day trials of programs you’ll never use, needlessly complicated media applications 3 Free Media Players that Support GPU Acceleration [Windows] 3 Free Media Players that Support GPU Acceleration [Windows] Read More for an MP3 player you don’t have and numerous “helpful” toolbars make up the list. Clearly, it’s time to take a stand and take back your new PC. Crapware, or to use its proper name of “pre-installed software” is anything on your shiny new PC you didn’t ask for. You might have to pay to unlock a full version, it might be a non-transferable license valid only on that machine. Most of it is not going to enrich your Windows experience. It is even possible that some of these applications could be slowing your PC down in some way or another as many of these nuisance programs will run at startup 3 Small Windows Tools to Delay Any Programs at Startup 3 Small Windows Tools to Delay Any Programs at Startup Read More . If you own a Dell machine then it probably came loaded with the Dell Search Assistant which “provides search results when you enter either a search query or an incorrect website address into your Web browser’s address bar” (not my words). This is a prime example of crapware, as most modern browsers have this one covered already. Internet service providers often jump on the crapware bandwagon, and it’s not surprising if you find a litter of unwanted AOL, NetZero and Tiscali setup icons somewhere on your PC. There’s also likely to be trial versions of oft-used software. Seeing as you’re a MakeUseOf reader you’ve probably already got your fingers in the free software pie 8 Better Alternatives to Common Windows Apps 8 Better Alternatives to Common Windows Apps Read More , and if you’re anything like me you’ll shudder at the thought of “shareware”. Lastly there are a few features included with Windows 7 that you may consider crapware. Do you ever use Windows Media Centre? 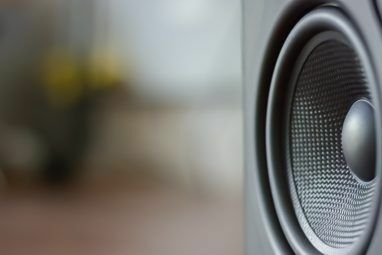 Have you replaced Windows Media Player 5 Best Free Media Players for Windows 5 Best Free Media Players for Windows The best media player for you is the one you most enjoy using. Here are the best free media player apps to consider on Windows. Read More with your favourite media app? You can remove these elements too. Scouring your PC for each particular offending item will probably take a while. Despite this being the only way to be sure you’ve got rid of everything you don’t want, there’s a couple of tools to help you on your way. The first is PC Decrapifier. 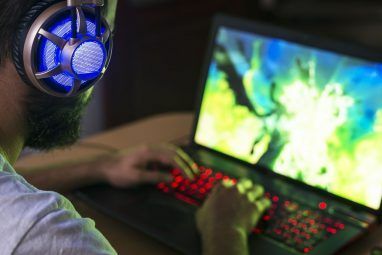 The clue’s in the name, but this useful application will look for some of the most common items your PC manufacturer is likely to have installed and give you the option of removing it. The software runs on Windows XP, Vista and 7 so if you’ve still not got round to removing the fluff from your old machine then this will work for you too. Your virus scanner The 10 Best Free Antivirus Software The 10 Best Free Antivirus Software No matter what computer you're using, you need antivirus protection. Here are the best free antivirus tools you can use. Read More (or “30-day free trial virus blaster”) might throw up a false positive when you download this one, ignore it and soldier onwards. There’s no need to install anything either, which is wonderfully ironic. PC Decrapifier will throw up a helpful notification reminding you that if you have manually installed or chosen to keep any of the programs found, make sure they’re not selected for removal on the next step. You will then be asked if you are running PC Decrapifier on a brand new PC. Once you’ve chosen you’ll be asked if you want to create a restore point Create Windows System Restore Point with 1-Click using SCRP Create Windows System Restore Point with 1-Click using SCRP Read More , which is optional. The application will then attempt to detect any known bad software to remove. If you installed Windows yourself you’re probably not going to find anything, I didn’t. The final screen will give you the option of removing any other installed software that the detection process may have missed. You will then be able to click next, and confirm that you want to remove any items you have selected. If you find that you never use Windows Media Center or another main Windows feature then you have the option to remove it. You can always add features again later, provided you’ve got a Windows CD/DVD How To Make Your Own Windows Live CD How To Make Your Own Windows Live CD Read More . Click on Start, Control Panel and then Programs and Features. Once the window has loaded you can click on Turn Windows features on or off. In the box that loads you’ll be able to remove whatever you want, including Media Center, Media Player and even Internet Explorer. Uncheck whatever you want to remove, and click OK. You’ll need to restart your PC before your chosen changes are made. Well there’s always the chance that something was missed, so you’re probably going to want to have a good look through your Start Menu for any lingering software you’ll never use. It’s also worth checking out exactly what’s starting up when your PC boots. To do this you’ll need to launch the Microsoft System Configuration Utility. 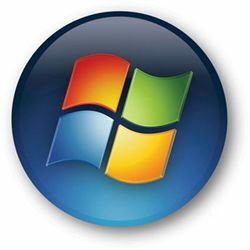 Windows XP users can hit Start then Run, Vista and 7 users might need to search for “run” and open it from there. Once the Run window has opened, type msconfig and hit Enter. Click on the Startup tab and have a good look at the list of applications that start-up when Windows first loads. Uncheck any you don’t need, things like Java and graphics configuration utilities aren’t strictly required and will only slow your machine down at boot. For anyone who doesn’t mind installing more software to do this for you, then Soluto is a great little boot streamlining tool Use Soluto To Improve Your Windows Boot Up Time Use Soluto To Improve Your Windows Boot Up Time Read More . Or check out WinPatrol. Anything you know you don’t want starting up can be removed, and if you think you don’t need it full stop then you can remove it from your system yourself. Once you’ve finished going through your PC with a fine-toothed comb, removing all that you don’t want and leaving only that which you do then I’d recommend running a quick registry clean Top 5 Freeware Registry Cleaners That Improve PC Performance Top 5 Freeware Registry Cleaners That Improve PC Performance Cleaning the registry will rarely improve Windows performance and it's risky. Yet many swear by registry cleaners. You too? At least use one of these tools because they're the safest you will find. Read More with CCleaner. This will help remove any signs of the programs you just uninstalled from the registry. Remember if you’re after a new PC then you don’t always have to specify an operating system and many manufacturers will ship you just the hardware. You’re then free to either order an OEM copy of Windows on the same order and set it up at home, or try a completely different operating system altogether. 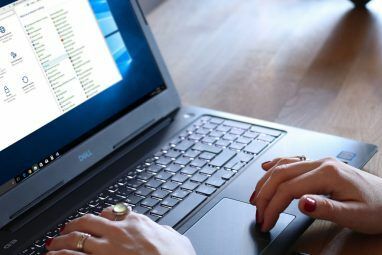 Certain manufacturers (Dell included) now give you the option to opt-out of nearly all pre-installed software at the checkout. If you like the free option you could also try Linux. Ubuntu is now establishing itself as a viable alternative 5 Reasons A Disgruntled Windows User Should Consider Using Ubuntu 5 Reasons A Disgruntled Windows User Should Consider Using Ubuntu Read More at last, and it’s available in so many flavours Why Are There So Many Versions of Ubuntu? [Technology Explained] Why Are There So Many Versions of Ubuntu? [Technology Explained] Read More at no cost. I recommend you take a heavy handed approach to removing crapware, ask yourself – would I ever install this? If the answer’s no then you know what to do. Good luck. Do you hate crapware as much as we do? Any tools or tips? Did you go Mac or Linux and avoid this situation? Let us know in the comments. Explore more about: Computer Maintenance, Uninstaller, Windows 7.
the crop wares are like uninvited guest.....sorry enemy should be uprooted at any cost. I like freeware Revo Uninstaller. It essentially conglomerates a lot of options into one control panel, though doesn't specifically add anything extra that you can't access from somewhere else. Still, a useful configuration tool. This allows you to manage your system more than Billy G intended. I find decrapifier to be ridiculously overrrated. It's a no-value added front end for add/remove programs, period. It does no better job removing anything, offers no technical advantages and automates nothing of any significance. The other tips are more helpful, and I'm using the modifier "more" only to be nice. How to remove unwanted crapware from your new Mac? Right! the price tag is already off when you turn it on. Yeah, Mommy and Daddy always take the price tag off of the electronic babysitter for the kiddies and "special" adults(?). I also did a fresh install (instead of upgrade) from Vista to 7. No crapware in sight, but some bloteware from our friend Billy G. I did follow some ideas here and removed those pesky MS programs. Then I took a look around and turned OFF several services. I used http://www.ruhanirabin.com/ult... as a reference too. Hope it helps a bit! I also did a fresh install (instead of upgrade) from Vista to 7. No crapware in sight, but some bloteware from our friend Billy G. I did follow some ideas here and removed those pesky MS programs. Then I took a look around and turned OFF several services. I used http://www.ruhanirabin.com/ultimate-performance-guide-windows-7/ as a reference too. Hope it helps a bit! I have a new lenovo with win7 64 and I do'nt see too much crapware installed. It is pretty clean overall. That's good to hear! Shame so many other manufacturers still install so much undesirable software. Yep - I'm with Adrian. I just bought a new PC last weekend, a nice new HP with all the latest & greatest hardware. I tried to let myself be ok with the manufacturer install, but I only lasted about an hour before I formatted and put on a fresh Windows7 64. At least now I know exactly what's on there. Well, or at least I am responsible for anything that is on there. Just reformat and install a fresh copy of your OS of choice by yourself!!!! !